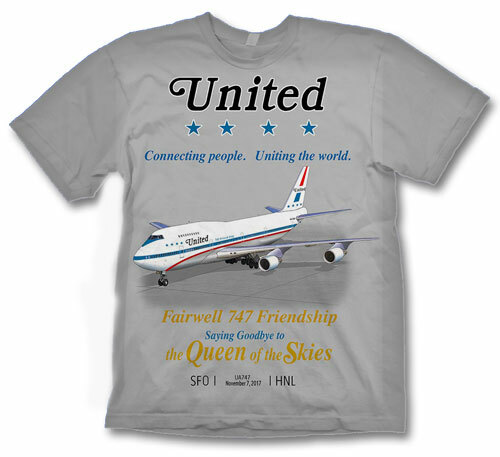 A great Alaska Airlines shirt presenting their Flagship B-737-800 complete with the Hawaii Lei Tail! With a backdrop of Mt. Rainier this is the best way to show off this great airline. With their new slogan "North of Expected". On a 100% cotton Royal Blue shirt.